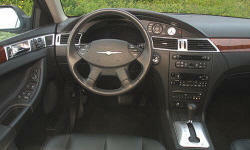 Why the 2004 Chrysler Pacifica? 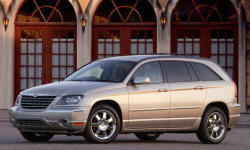 Why Not the 2004 Chrysler Pacifica? Suspension was poorly engineered. Everything is expensive. $348 per shock absorber! $600 for A-arm bushing. $1500 for engine harness which fails when $347 engine mount fails. Did you know that they are bankrupt? That starts at the top and seems to have pushed down into the dealerships. Ridiculously reliable. Replaced brakes about 60000 miles, now 127000 miles with expenses only for tires, gas and oil. Poor human engineering in the design of some of the operating features, but I can overlook that for the reliability. Heavy vehicle with highway mileage 22-25 mpg. Startups, stop-and-go get only about 17-18 mpg.